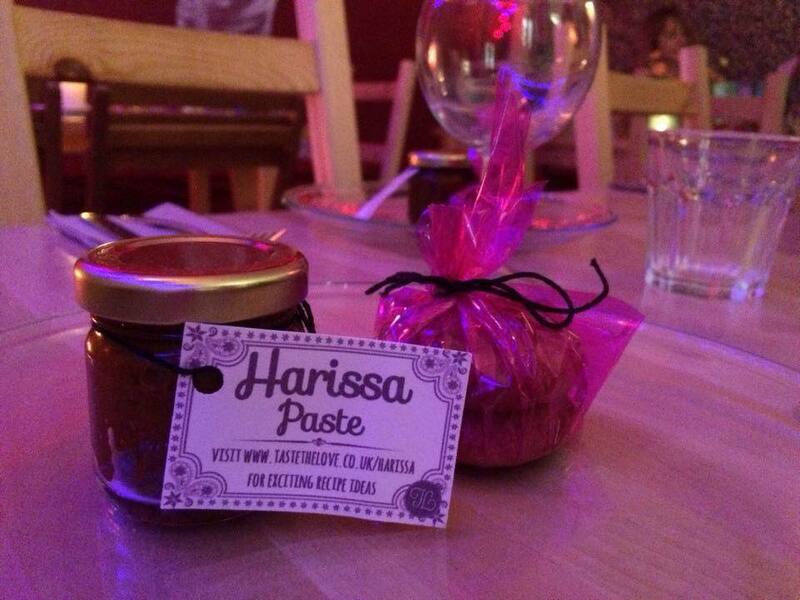 As part of my Persian Pleasures pop up restaurant my guests were lucky enough to get a sample pot of homemade harissa to take home and cook with. So, hello to all of you lovely Persian Pleasures guests… and hello to you lovely lot who didn’t attend but are interested in some inspiring harissa recipes. Harissa is a paste made from chilies garlic oil and aromatic spices that is used in North African and Middle Eastern cooking. A little bit added to your evening meal can transform it from an ordinary mid-week dinner to something sublime and full of flavour. Toast all seeds for a few minutes until browned, crush. Add smoked paprika and chilli powder. Add tomato paste, salt, olive oil and lime juice. Stir it into soup, smear it on a burger to give it a smoky spicy hit or jazz up roasted vegetables by mixing it in before slow cooking. It is the best new must have condiment in my house. If you have never tried roasted whole cauliflower you are missing out. This is by far my favourite way to show off your harissa whilst being super healthy and super delicious. This can also be made without the yoghurt for a vegan feast. Take the leaves off the cauliflower and make sure it can sit flat in a baking tray. Smear the cauliflower with harissa and place into a baking tray. Whilst the cauliflower is cooking, toast your almonds in a dry frying pan. Place the cauliflower whole on a serving platter and dollop yoghurt over it, sprinkle with pomegranate and almond and finish with coriander – a total show stopper of a dish!! Add garlic cloves and fry for a couple of minutes more. Add tin tomatoes and oregano and simmer gently with the lid on for about 30 minutes, take the lid off and let the sauce reduce for a further 10 – 20 minutes. This is important because the longer you cook the sauce the richer it becomes. When the sauce is reduced, stir in the harissa and transfer to a baking dish. Crumble the feta cheese onto the sauce and crack the eggs on top making sure to not break the egg yolk (although it is not the end of the world if you do) Bake in the oven for 15- 20 minutes, checking regularly. When the egg white is set the dish is done! Sprinkle with dill, mint and coriander, squeeze a little lemon and serve with a big green salad and bread.